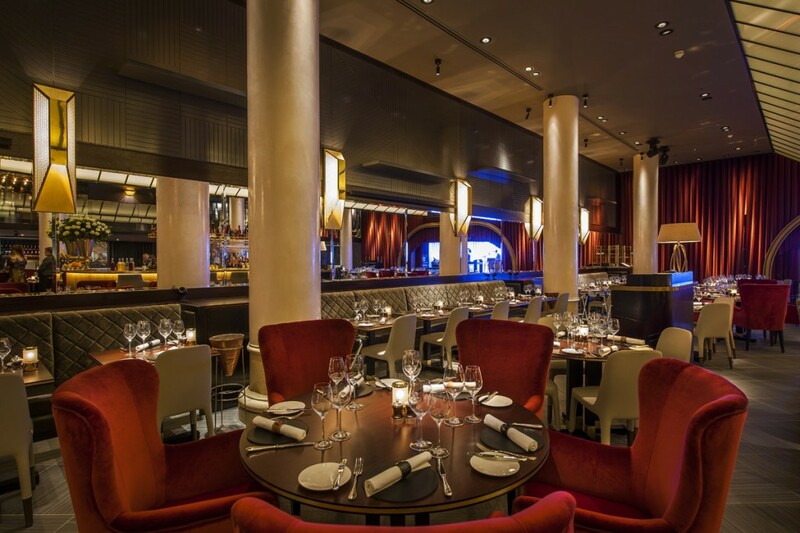 Quaglino’s is a name in London that has lasted decades. 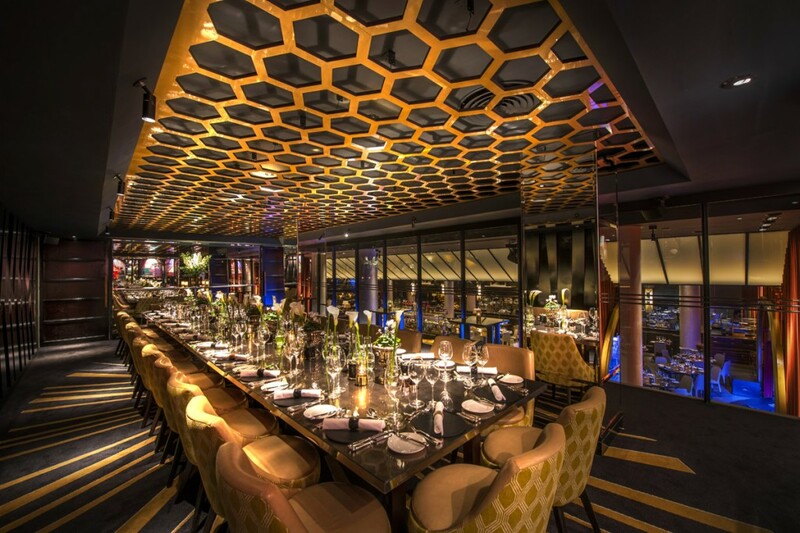 The venue has famously undergone several transformations, including by Terence Conran in the early 1990’s. 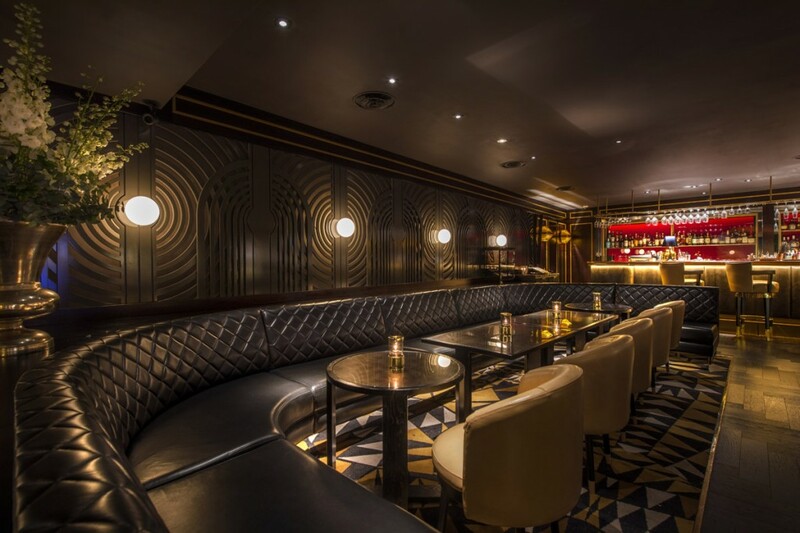 On this occasion the multimillion pound renovation was by Russell Sage Studio who redesigned the space with an Art-Deco style. into were assigned as lighting design consultants by the client D&D and the brief was to design a lighting scheme which suited the very luxurious interior. The majority of work would involve designing precise architectural lighting and integral details. into then built a textural lighting scheme upwards from this. The famous imposing ‘W’ ceiling required new light sources as part of the refurbishment and the colour temperature of the light needed to match with that of the overall scheme after passing through translucent glass. This involved many on-site mockups to work within the difficult ‘W’ frame. 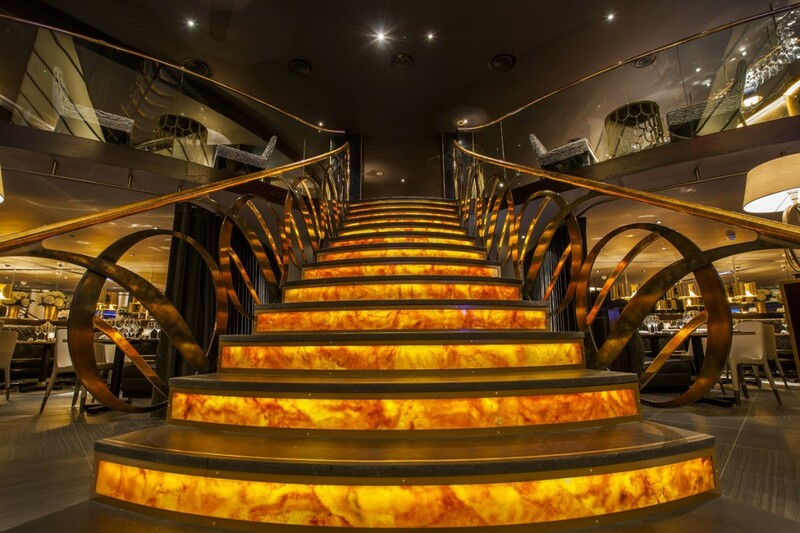 Countless bespoke lighting details were designed to make features of certain areas, including the Mezzanine bar and pieces of artwork. 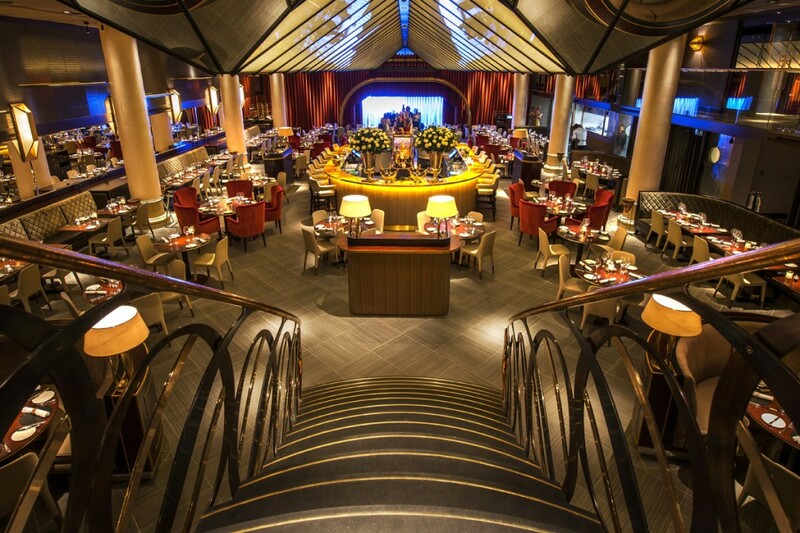 The biggest challenge however was the central bar in the main restaurant space. 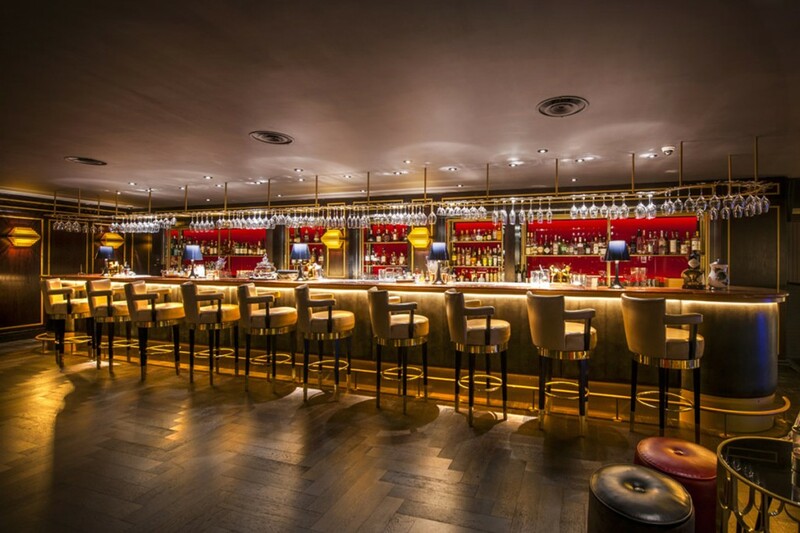 The result of a close collaboration between into and Concept Bars is a 9 piece segmented bar which has a fully dimmable integrated lighting system no matter where it is moved to. 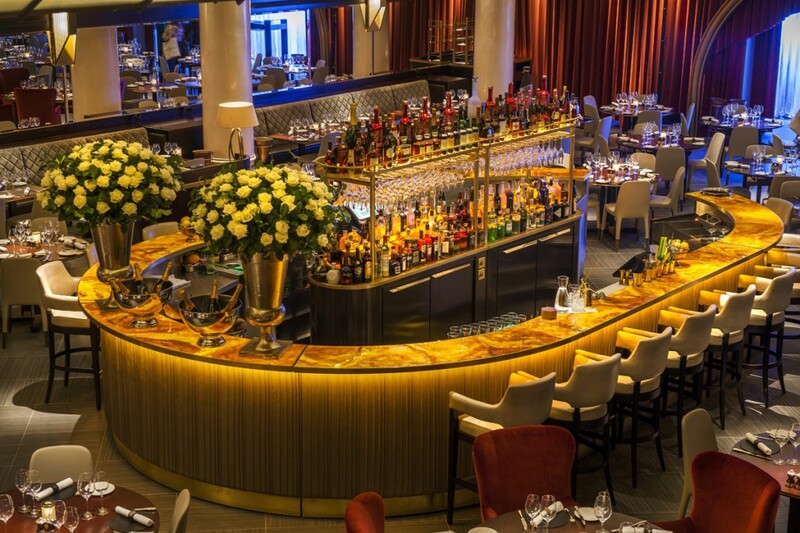 The Quaglino’s refurbishment was always going to involve extreme attention to detail in every aspect of the designs. 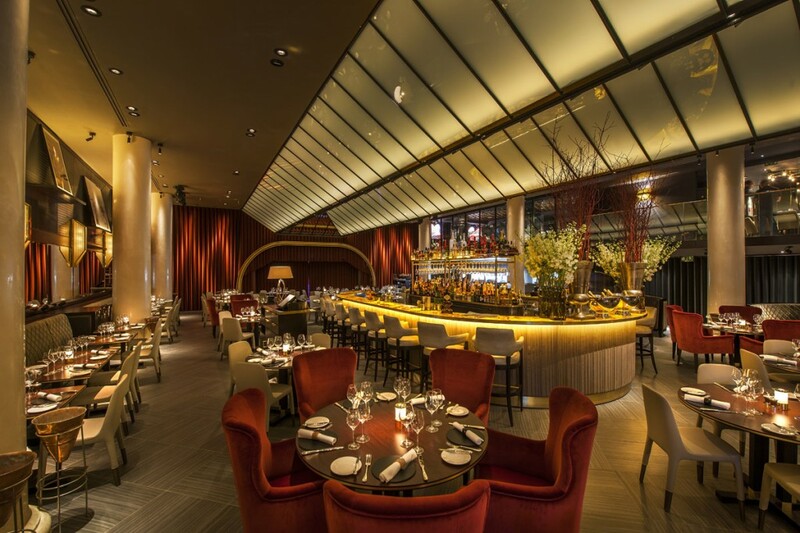 Certain striking feature lighting, including bespoke details on the mezzanine, the lighting of the ceiling, the stairs, and of the central movable bar, collectively create the sort of unique atmosphere required by the client D&D.